Beautiful children's favours which are ideal for Christenings, blessings or naming days. 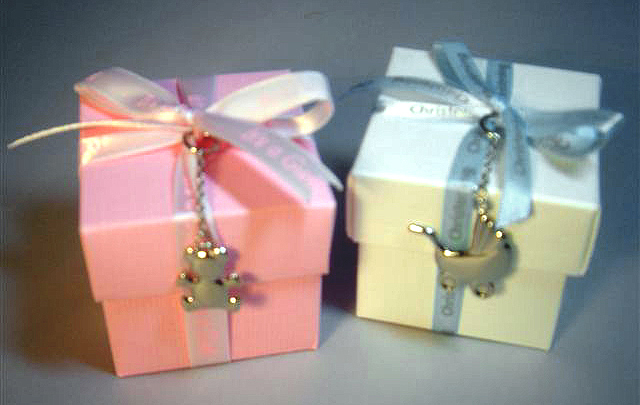 There is a choice of ribbon and of charm, which can be used as a phone or keyring charm. Complete with confectionery.